Recent statistics have shown an increased number of joint replacement surgical interventions being performed on an annual basis. Does this mean that we no longer have strong joints? Did people have stronger joints several decades ago, such as in the 1980s? Well, the truth lies somewhere in the middle. On one hand, today we place more demand on our joints and, given our increased life expectancy, we are not satisfied with joints that do not function at old age. By comparison, in the 1980s, the pressure to lead an active life for a longer period of time, was not that intense. And this was reflected in the health of the joints. One of the main reasons for which people turn to joint replacement surgery has to do with the fact that they want an active life, regardless of their age. This is particularly characteristic for the baby boomers, a generation with unique demands on life. Whether we are talking about hip or knee replacement, the principle stays the same one should enjoy an active life, even in old age. And, as the life expectancy continues to increase, so will the demand for such kind of surgeries. The generation of baby boomers is all about living life in a healthy manner. They pay attention to what they eat, preferring high protein foods and other healthy choices. Moreover, they are extremely active, which places a lot of pressure on their joints. In this situation, it makes sense to be on the lookout for solutions that can prolong the health of their joints. The most important thing is that they remain healthy and active so that they can enjoy their preferred activities in older age. How about people in the 1980s? The 1980s were an interesting decade, with many interesting discoveries being made. But, at the same time, the life expectancy was not that high and many mistakes were being made smoking was still considered a cool activity and not dangerous at all, for example. When retired, many people adopted a sedentary lifestyle, giving up on many of the activities that were part of an active life. Thus, their joints began to suffer from the lack of movement, with pain, inflammation, and stiffness being common symptoms (arthritis was often diagnosed at that point). Does this mean that their joints were not strong? No, it just means that they suffered from the chosen lifestyle. By comparison, our joints are not as strong today, especially since we use them more intensely and for a longer period of time. But we have found a solution to the problem, in the form of artificial knee and hip replacement. We are practically buying more time, enjoying an active life for a longer period of time. So, paradoxically, our joints are not that strong but we have found a way around that problem. Also Read: How is Arthritis Linked to Increased Cardiovascular Risk? We live in the age of technology and, despite the many advancements we have the opportunity to enjoy, some of us still make certain mistakes with regard to the diet. Tempted by fast food and other readily-prepared meals, we end up weighing more than we should. The obesity epidemic has taken a toll on our joints as well and these suffer due to the extra weight they have to carry. As mentioned above, baby boomers are conscious about their health but this is not valid for each and every person out there. In the 1980s, obesity was not such an obvious problem. People were still eating healthy and fast food was not available on a large scale. Hence, their joints did not suffer from the obesity. Today, unfortunately, obesity is one of the main risk factors for joint degeneration. 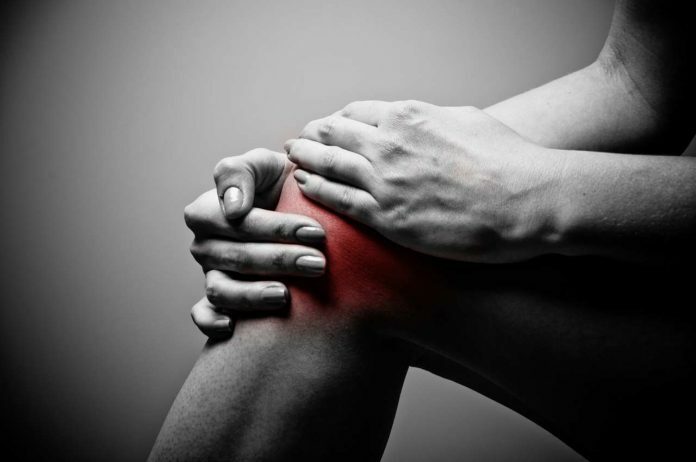 It is also one of the reasons for which people end up in surgery, either of the knee or joint replacement. Their joints are easily damaged by the extra weight, which has a negative impact on the overall quality of life. After the surgery, they are often recommended to begin a weight loss program, as well as engage in weight loss exercises. Decades ago, humans did more manual labor and this is the main reason for which their joints suffered from increased wear and tear. However, the lifespan was lower, which also means that the demand on the joints ended earlier. Today, we lead a longer existence and we require functional joints; the main condition for which people required knee/hip replacement in the past was rheumatoid arthritis. However, this condition can be successfully kept under control today, with the help of medication. To answer the original question, people in the 1980s did not necessarily have stronger joints. However, their lifestyle was different and the overall lifespan not as long as today. They also did more manual labor, which placed increased pressure on the joints. As for the modern days, we are either excessively active or we lead a sedentary lifestyle. Both of these situations cause our joints to suffer from wear and tear, increasing the risk for joint disorders (such as osteoarthritis). In this situation, it is possible to maintain a good level of functionality by resorting to joint replacement surgery. It is also essential to lose excess weight, in order to reduce the pressure experienced at the level of the joints.